I finished Masterchef Australia at my own pace about a week ago, and man, I cried during that finale. I don’t usually cry when I watch things, so it was really good, okay?! Especially after binge-watching the entire season and bonding with the contestants. The Australian version of Masterchef is by far my favourite out of the ones I’ve watched (ie. compared to American or Canadian). I find that they don’t try to create tension or drama between the contestants, but instead put the drama into the challenges they’ve created, or the complexity of the food, or the chef they have to cook against. It’s just very food focused, and the judges (George Calombaris, Matt Preston and Gary Mehigan) are absolutely keen on helping the contestants improve week after week. And the contestants themselves develop amazing friendships and there’s never any spiteful comments directed to each other; it’s all very positive. There are also some heavy-hitters like Marco Pierre White and Heston Blumenthal who make guest appearances and push them a little farther. Anyway, Billie won, and I liked everyone so much this season I wouldn’t have minded it if any of the Top 5 won, but Billie by far was the most deserving, most humble, and most talented in my eyes. And then when Heston offered her a job at the Fat Duck… tears. Ugh. So excited for her. 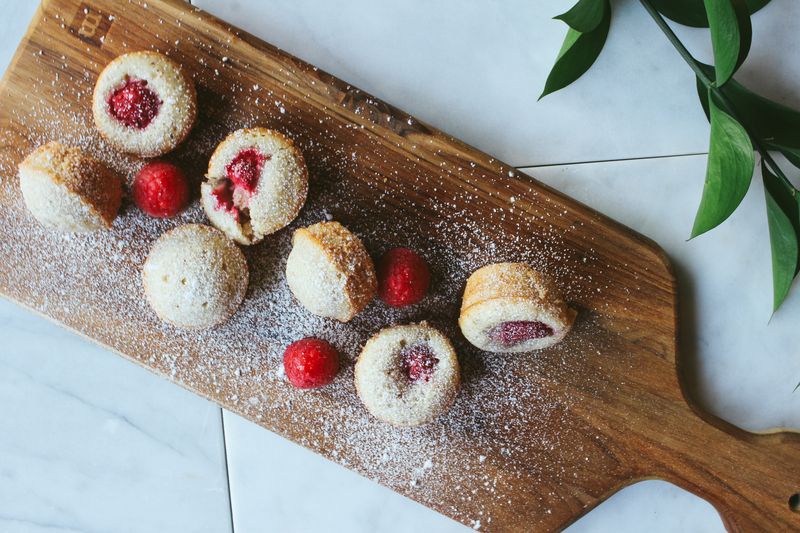 Jessica made her brown butter friands for that tea-party immunity challenge episode, which I watched a few days after making these bad boys. Imagine that! The judges went nuts for that nutty brown butter taste, and now I can understand why. 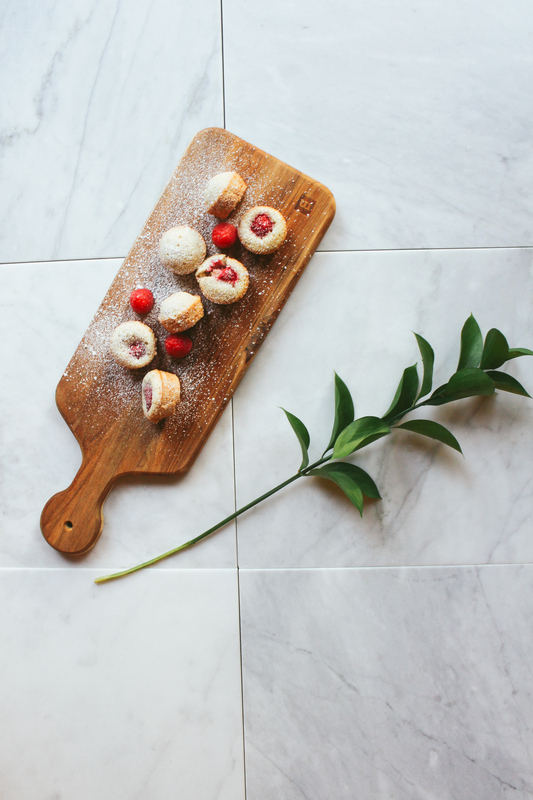 The incentive to make these came from my nearing-the-expiration-date bags of almond flour, which I’d bought from Trader Joe’s during that macaron phase. I suppose I could’ve made macarons from them, but they’re a bit fussy, and I just wanted something relatively quick and simple to make. 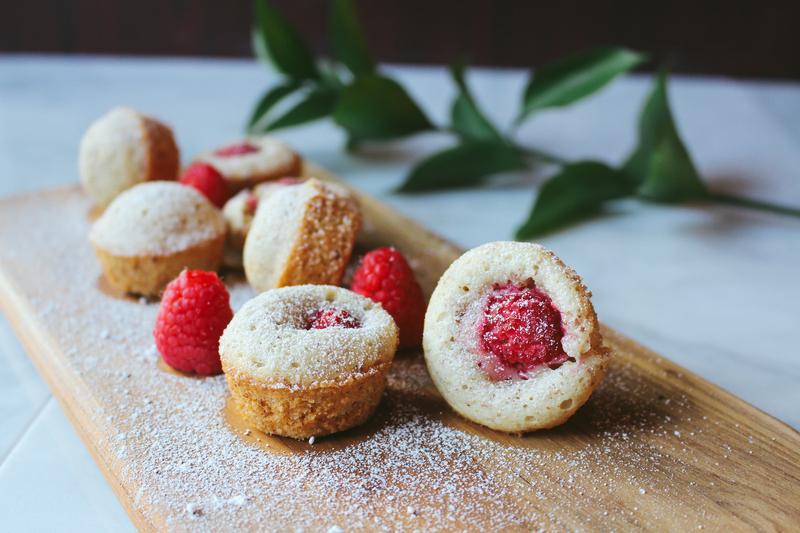 These financiers are melt-in-your-mouth, soft, and fragrant. 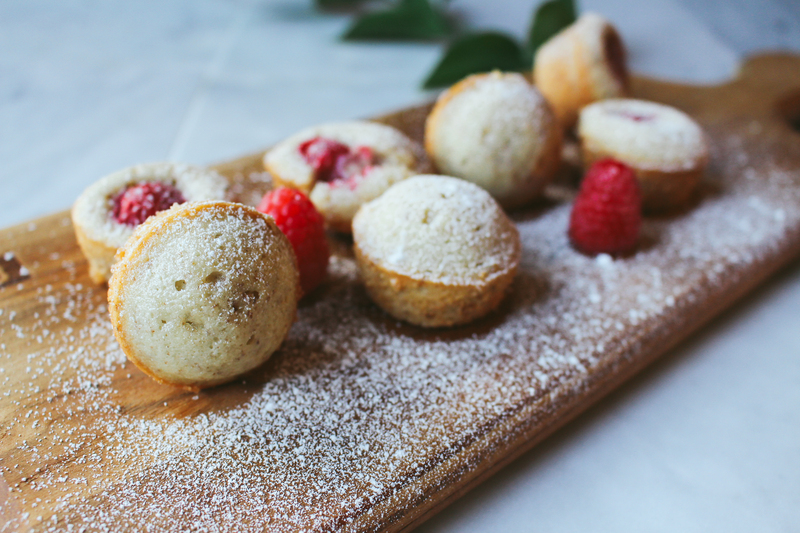 The pop of raspberry adds the perfect amount of tartness and freshness to balance that rich almond cake. They’re not overly sweet either, so finishing them with a light dusting of confectioner’s sugar is perfectly acceptable in my book. Only, don’t bother calculating anything, or looking at the ingredients. Because I made that mistake and you know, these are literally >25% sugar and 25% butter, but heh, you know, who’s doing the math……… just trust the French, okay? They know what they’re doing when it comes to almond cake goodness. 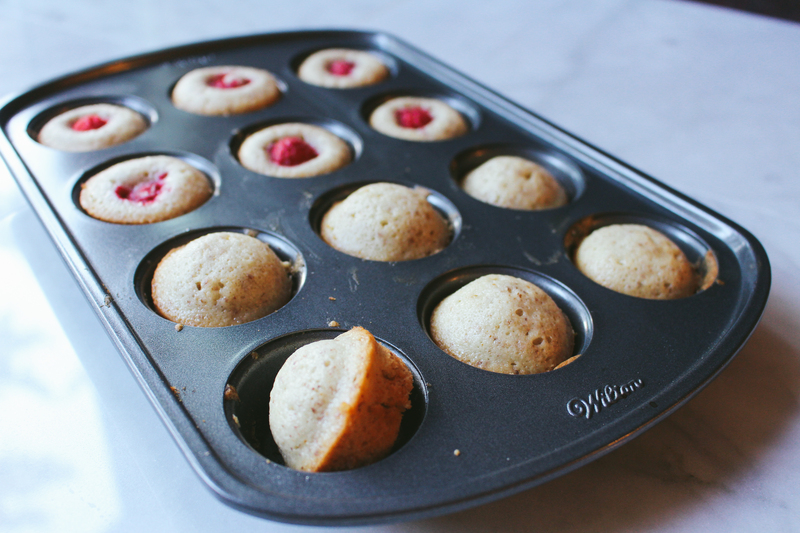 Preheat oven to 425°F degrees, and butter 12 financier molds or two mini-muffin tins. Refrigerate buttered tin. Sift together sugar, flour and almond meal into a medium bowl. Create a well in the center of the dry ingredients and add in egg whites; whisk together by hand until ingredients have been combined. To brown the butter, melt butter in a saucepan over low to medium heat until bits begin browning. Continue whisking slowly to prevent browned bits from settling. Strain melted through a cheesecloth. While still hot, slowly pour browned butter into batter, simultaneously whisking the batter until combined. Evenly distribute batter among molds or mini-muffin tin wells, leaving about 1/8″ of space from the rim. 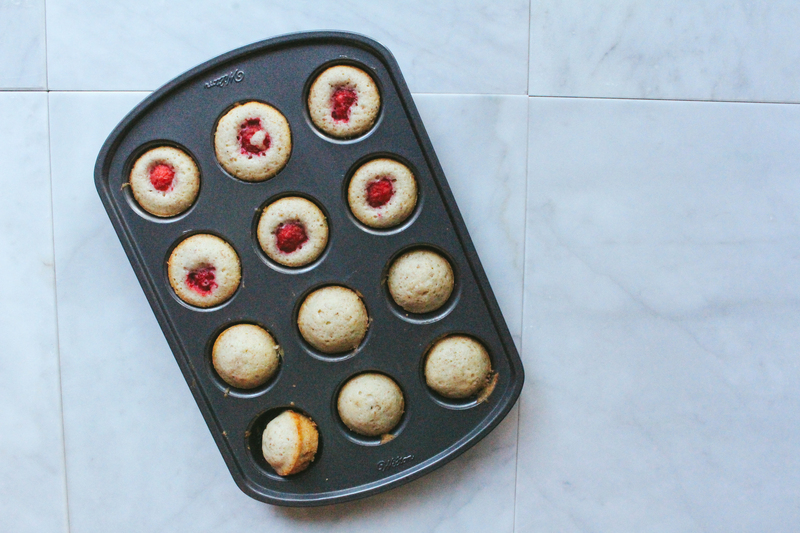 Place a raspberry in the center of each. Lower over temperature to 350°F degrees, and bake on the center rack for about 20-25 minutes or until golden brown.